Although we have been mentioned in various magazines (e.g. Chronos, WATCH, Style:Men) and newspapers (e.g. 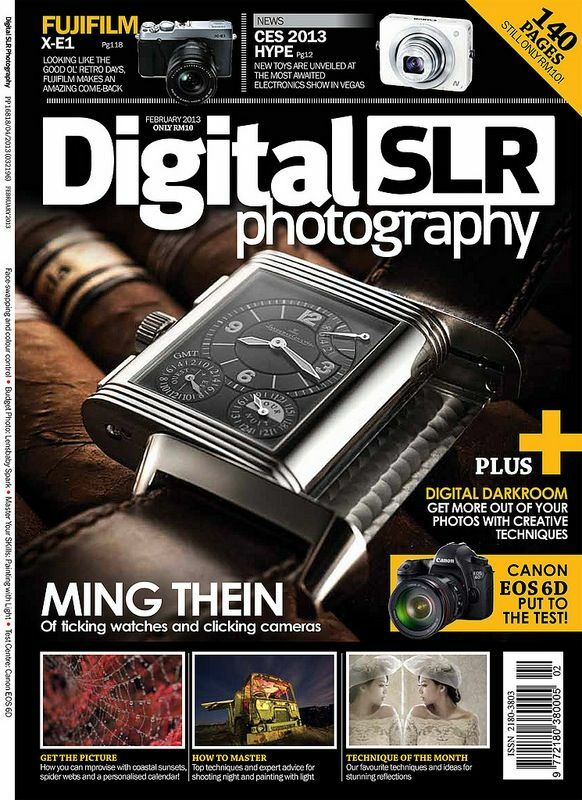 FT) before, Fratellowatches also got a mention in the February issue of DigitalSLR Photography magazine. Thanks to our guest contributor Ming Thein who did a number of photo essays for us and a very interesting interview with Linde Werdelin’s co-founder Jorn Werdelin. Ming Thein is being interviewed by this photography magazine (the biggest on photography in the U.K.) in February, telling the readers about making his step from a corporate environment to being a professional photographer. 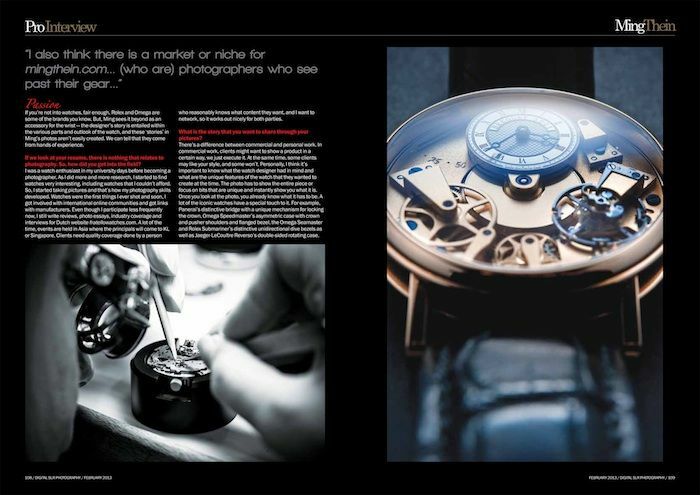 Of course, it also tells the reader what we already know, how and why he wants to capture watches with his camera. Although we advice you to order the magazine, you can read the interview with Ming Thein here as well. Make sure to visit the website of Ming Thein about photography as well. His Camerapedia, workshops and portfolio (Photoessays) are legendary already. His official website is: blog.mingthein.com.